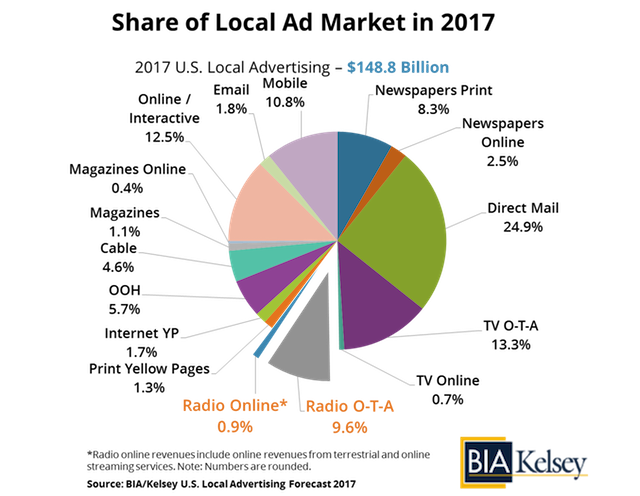 U.S. radio stations saw a 14% increase in online revenue in 2016, according to the latest BIA/Kelsey data. In contrast, over-the-air advertising revenue stayed static for the year, generating $14.1 billion. The report projected a less than 1% increase for OTA revenue in 2017, while online revenue is anticipated to grow about 12%. The radio industry’s overall revenue is expected to reach $14.9 billion in 2017. Thank you for the clarification of the radio being beautiful.